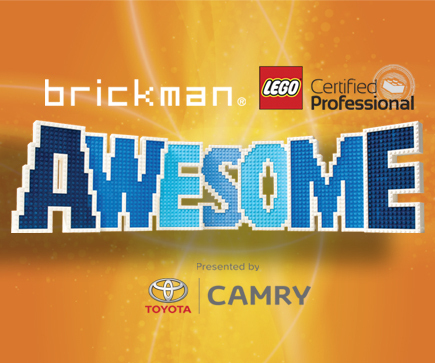 Brickman Awesome is on at the Perth Convention and Exhibition Centre right now until July 22, and it showcases 39 models that are brand new. 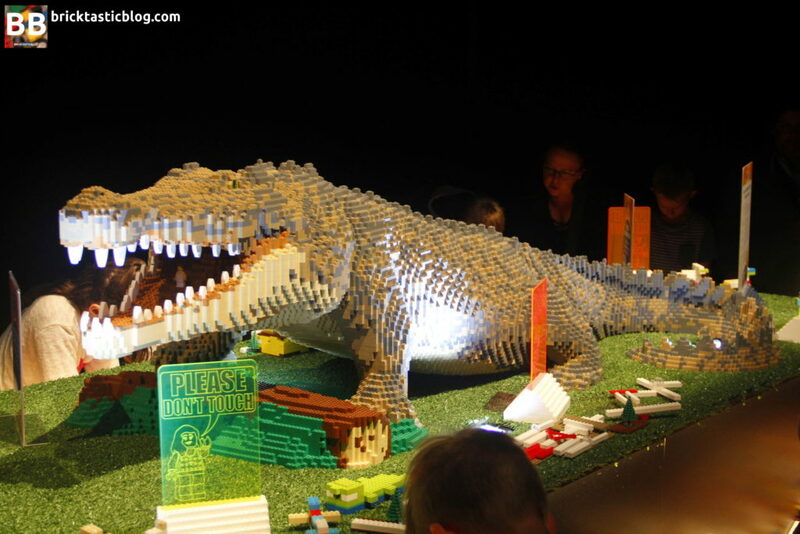 There’s a life sized LEGO Toyota Camry, a life sized LEGO Harley Davidson, an orca, a full sized LEGO saltwater crocodile, and the tallest LEGO model in the southern hemisphere – a 7.5 metre tall NASA SLS rocket! After having a look through the show myself yesterday morning, I had the opportunity to have a chat with Ryan about his work and the show, so read on to see what he said in full! 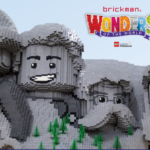 There are a few questions included from you readers as well as some images from the show, and afterwards, I’ll also be mentioning who the winner of the Family Pass is to Brickman Awesome! Ryan, where did it all start? Where did your love of LEGO begin? I got my first LEGO set when I was three, from my grandmother. It was actually set number 616, a little cargo ship, and I played with LEGO all the way up until I was around 12 or 13, and then life took over – sport, girls, all those things! It wasn’t until we had kids – I’ve got twin sons – that my mum gave all my LEGO back. Back in those days everything was stored in a milk crate, so she gave it back to me. So, I had a break for the best part of around 25 years, which is quite a long time in the dark age scheme of things! When I got back into LEGO, I found out about LEGO MINDSTORMS, which interested me from a technology perspective, so that’s what pulled me back in. I got it when it was pretty new, pretty cutting edge type of stuff. You mentioned 616 Cargo Ship before, but did you have a favourite set or theme growing up? I kind of chopped and changed a fair bit, as people do. I had a big red and yellow train that I had saved up for for ages, I had the yellow castle (375), so I switched between those two a fair bit, but other times I was into Classic Space, or Explorers. It’s a bit like my kids are today when they get the LEGO catalogues and look at every page and think “Oh, that’s cool! Oh, how cool is that!”. Unfortunately pocket money and chore money only goes so far so you kind of have to pick one of each. What was the process like for you to become a LEGO Certified Professional? There’s only 14 of you in the world, and I’m guessing the process is different for everyone, but how did it go for you? Yeah, that’s true – it’s not like a standard job application! You don’t go to LEGO University! I was over at Brickworld in Chicago and I had made a big double decker A380 aircraft out of LEGO, and I had it full of MINDSTORMS! The engines would spin, the wheels would come down, the flaps would move – all of the things an aeroplane would do. I was one of those people that hacked into the MINDSTORMS brick and I wrote a piece of software that would talk to the MINDSTORMS brick. I had a touchscreen computer with a picture of a cockpit. People could press the buttons on the screen like they were sitting in the cockpit, and things would move on the plane! Some guys from LEGO happened to be there and they were asking me a whole lot of questions, and one of the guys happened to be Tormod Askilden, now head of LEGO’s Community Team. He said that “there was a thing called the LEGO Certified Professionals Program, we don’t have anyone in your area of the world, so we’d love for you to apply”. I had no idea what it was about, but I applied, and the rest is history! That’s a great story! We’re very happy you’re an Aussie, too! Can you describe a day in the life of Ryan McNaught? Well, every day is different. Some days I might not touch a LEGO brick at all, other days I might have all day on the bricks. It really does depend on what we’re doing – we might be in Perth setting up for a show, which can take multiple days! I would love to be building LEGO every day, but sometimes reality doesn’t always match the dream. Here’s a question from a reader called Craig – how many people work for you, and do they travel with you to help set up the shows? Yeah, we’ve got quite a team here – there’s seven of us all together, and it depends on the situation. We’ve got a few shows on around the world at the moment – Awesome in Perth, Wonders of the World which went to Perth last year is in New Zealand at the moment, there’s another show called Towers of Tomorrow, which is in Minnesota in the US, and another one, the original one called Brickman Experience, which is on it’s way to South America. The team is off in all different locations with all the shows. They’re responsible for making sure the displays travel okay and are installed properly, and making sure they aren’t damaged at all. I was walking through the show and noticed that you don’t build and design everything (which would be a feat in and of itself!). How does a show like Brickman Awesome come together? 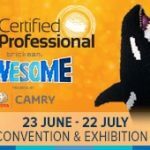 A big show like this, and it’s a big show – there’s a lot of LEGO in there – the best part of 4000 hours, is roughly around 18 months of elapsed time from getting the ideas through to building and displaying. Some of these models are pretty expensive to make as well, so before we even start building a model, we need to think about whether this is what customers want. We need to be really selective about what we do and how we do it. There’s a lot of thought and work that goes into it before we even pick up a brick. Time for another question from a reader, Warren. When building MOCs, is it best to work from the inside out, or build the outside first? It all depends on how big it is! I’m doing a big cityscape at the moment, and it’s quite large, 3 metres by 3 metres, and I’ve got no option but to work from the inside out. If I was to start on the outside, I need to be able to get to the inside! I would challenge people to think a bit differently though – the way I tend to do it is I pick the thing I want to build the most, and leave that until last, so I’ve always got motivation. That’s a really interesting way to build a model! This is now my third Brickman exhibition, and you’ve created some pretty incredible models over the years – can you tell me a bit about the process behind some of the bigger models? What’s involved? Something like the NASA rocket, which blew me away, how does something like that start? 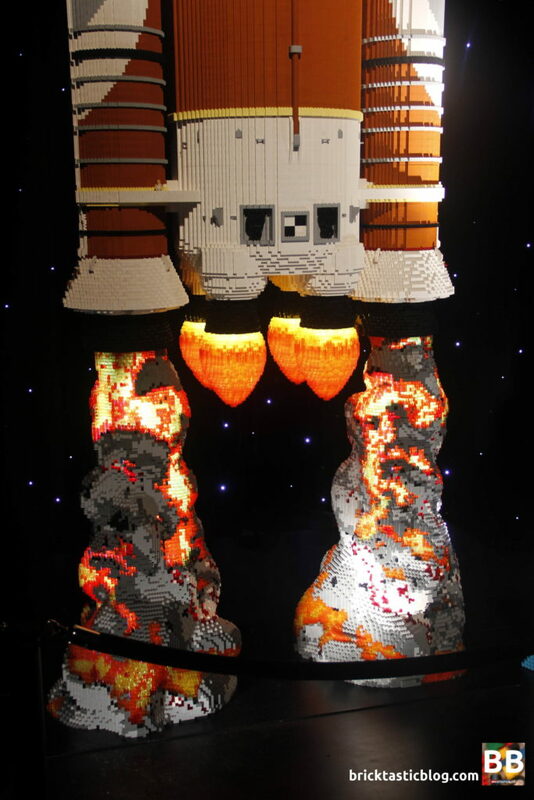 Ok, so the previous record holding model was in the Brickman Experience – the Saturn V. That was 6 metres tall, and after I finished that, I had a think about the logistics of it and thought it was too hard to do again – there’s too much to think about. Inevitably, I’ll always want to build something taller! So NASA decides to build a rocket to take mankind to Mars, so we’ve got to build it in LEGO too. Then it comes down to how do we do this. What we really enjoy is bringing models to life. That’s not easy when it’s a LEGO model of inanimate objects. 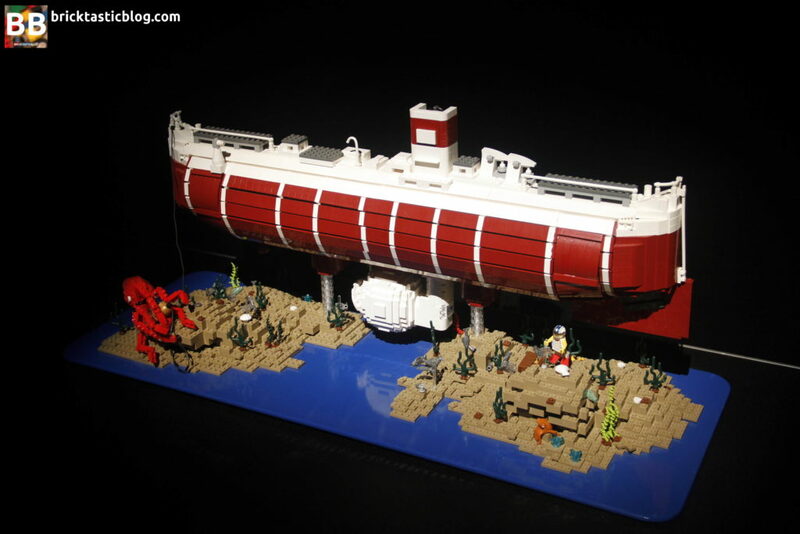 You really need to find ways to bring excitement to a LEGO model and bring it to life. We do that by bringing a sound and light show to the display. So now that we have lights on it, how cool would it be to have a rocket launch! So we put a few thousand trans bricks for the thrust element, and have that light up. Then of course you have to think about it being 7.5 metres high, how do you put it together. So there’s a cherry picker, how many extensions do we need, what kind of supports does it need? It’s quite a process around designing a LEGO model like that. I’m guessing there’s steel running through the rocket itself for safety? Yeah there is, and it’s in pretty much all the big models we do. We probably don’t have to do it, but it’s for public safety. With that model, it weighs over 400kgs, so you can imagine what that could do if it came down! Are the sounds of the launch with that model from a real NASA launch? Yeah, they are! That one was from a SpaceX Dragon launch. Obviously the NASA one hasn’t launched yet as they’re still building it, but the sounds are from a real rocket launch! A lot of the models in the show are animals, which have nice curves – how does the design process work for models like those? Ok, so with the rocket – if I have a brick out of place on the rocket, being a round cylinder, you’ll notice it. If I put a brick out on an animal, given the irregular shapes, it’s not critical. I can get away with it. Animals and nature give you a fair bit of flexibility. We’ll do three different types of models – there’s ones that we design on a computer first, because we have to. There’s things like some have steel in them, or we want to see what it will look like before we build it. It’s actually a pain in the backside because we have to build it twice – once on the computer, and then you have to build it for real. It’s a bit of double handling. The second kind of model is free-built. It’s our preference – we’d love to be able to do it for every model, but we just can’t. The third type of model is a combination. For example, the big icebreaker in the show is one of those. We designed the hull shape and the wave on the computer, and then everything else on the sides and on the cutaway is free-built. We’ll often use the combination to get the results we need. 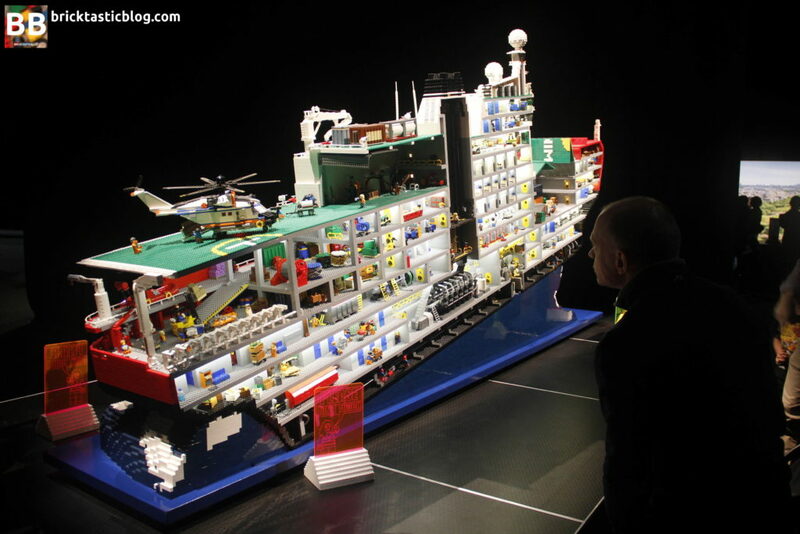 Speaking of the Icebreaker – I must have been standing there for a good half an hour just with that model – you’re a master of the cutaway builds. Is that interior based simply on what would look good, or is it based on plans and schematics of the actual vessel? I love cutaways – it comes from growing up loving to read those cutaway books. When I first got back into LEGO all those years ago, cutaways were my thing, and I’ve kept it going from there. 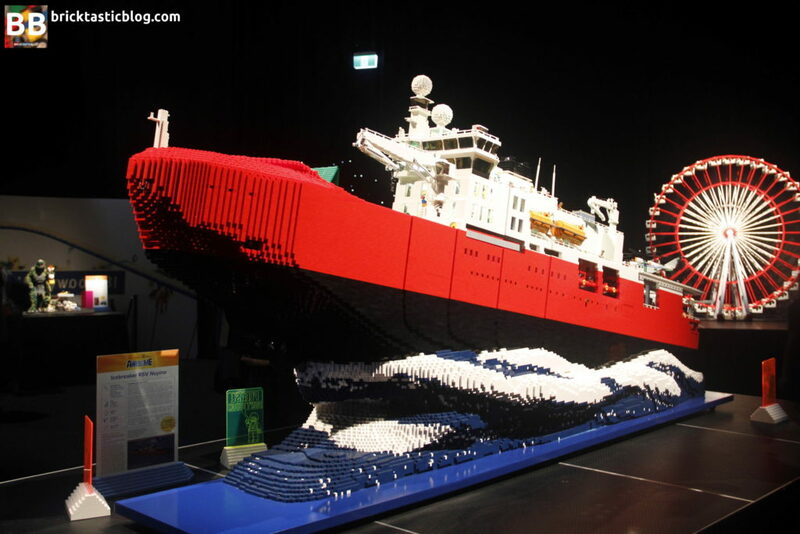 I actually sent an email to the Australian Antarctic Division and said to them that I knew they were making a new icebreaker, and that I was thinking of making one out of LEGO – was there any chance they could send me some info of one. They were nice enough to send me through the plans! We did a lot of work with them about the ship. They liked that model so much, they wanted one for themselves, so we built a second one! The irony was that the time that had passed after the first model was about a year, and within that time they had changed a lot of the specifications of the ship – a lot of things had moved around on and in the ship, so the one we finished a couple of months ago for them is actually the most up to date one! Oh wow! Does it have all the fun little scenes in there as well? Yep, it sure does, all of the little fun stories are in there too! They’ve got their own distinct version of it. It must be hard coming up with all of those stories! That’s one good thing about working in a team – we’ve all got very different skill sets and imaginations, and models like cutaways allow us all to express our creativity. We might sit down and have a joke about what about if it has this or that, and we’ll feed off of each other and tell stories and jokes that way. 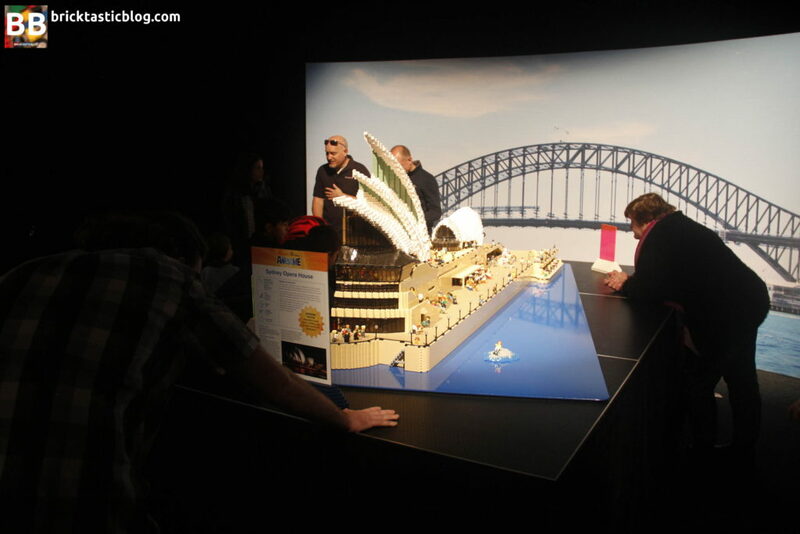 Another cutaway model was the Sydney Opera House – you’ve done a few of these over the years, and it mentioned in the display caption that you faced challenges similar to those faced by the real engineers of the actual building! Can you tell me what they were? Yeah, that’s actually Opera House number 5! It’s those compound curves on the sails – they’re crazy! None of them are symmetrical, they’re all different, they really test pretty much every mathematical and geometrical component of a LEGO brick. LEGO bricks as we all know aren’t square – they’re rectangular. They might be one size on one plane, but they’re not on another, and it makes it really difficult to get things like compound curves built. It’s not like Minecraft where you can just go bang, bang, bang and there’s a curve. Those curves gave me headaches like you wouldn’t believe! One of the other models, number 4 I think, which is about twice the size of that one, which belongs to the Museum of Sydney. It’s at another level of complexity with those curves. The sheer weight of things makes it difficult when you’ve got a cutaway, because they’re self supporting. When there’s a full curve, it supports itself by holding itself up within the curve. When you’ve got a cutaway, you don’t have that! 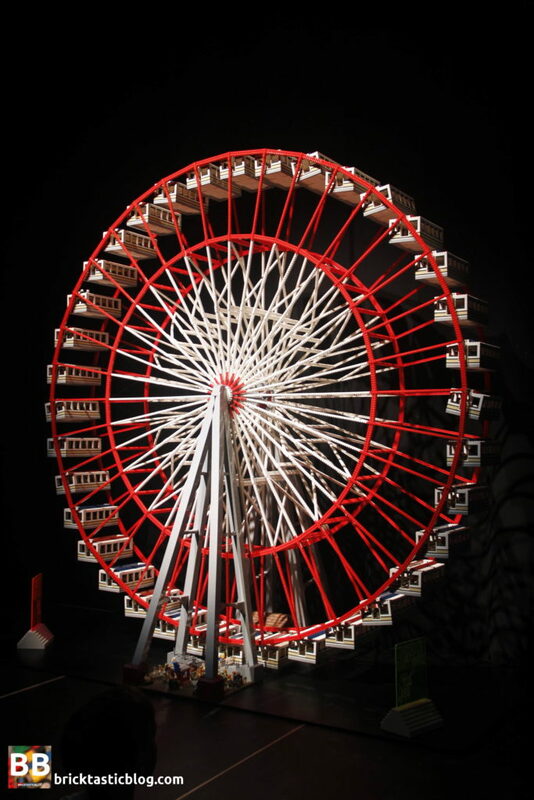 One model that looks like it’s defying gravity was the Ferris Wheel – how did that come together, because it doesn’t look like it’s connected to much! It’s actually motorised, but the motors tend to burn out. There’s a central steel threaded rod in the centre, but apart from that, the rest is all LEGO. What tends to happen with LEGO as it rubs together, is it disintegrates over time, and there’s the factor of torsion, so it can’t handle extensive moving. The best thing about the ferris wheel is that it’s perfectly balanced. There’s no real stress or pressure on it, as the weight is even across it. The only time there’s stress and pressure on it is when you’re putting it together. As I’m adding the carriages and putting it together, that’s when it’s under pressure. 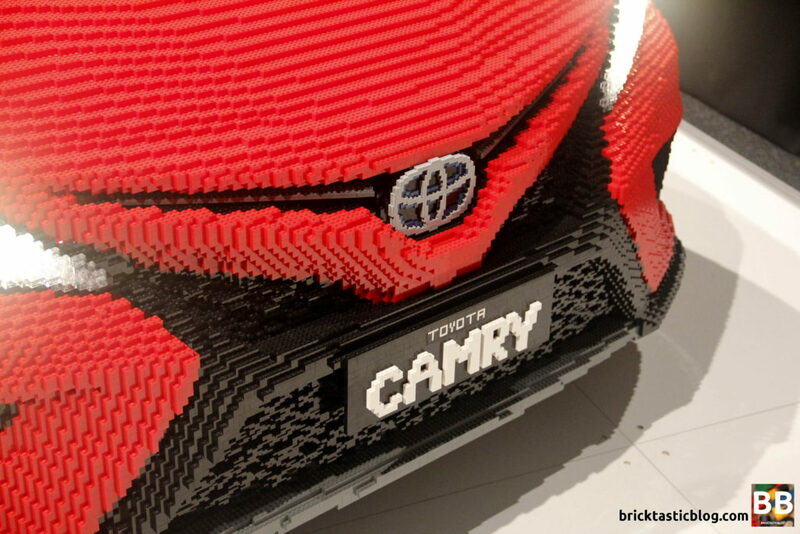 One that took me by surprise is the LEGO Toyota Camry! Can you tell me a bit more about that? That’s one and a half tonnes of LEGO, which is bonkers. All of us worked our backsides off on it. 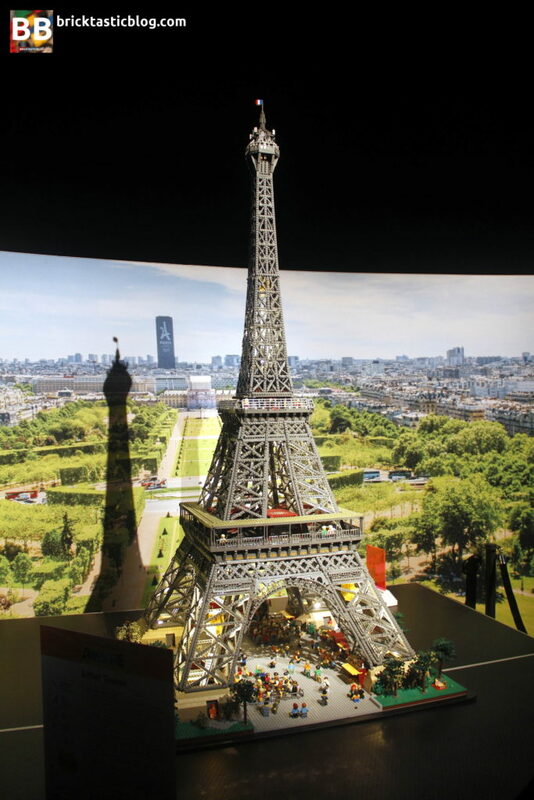 It’s such an insanely large LEGO model. It really pushes the bounds of LEGO geometry and what it can do. As you probably know, LEGO bricks all have slight variances amongst each other. When you compound that over something that’s over 6 metres long, all of those levels change. If you think of a baseplate being nice and level, if you were to have a 6 metre long baseplate, it doesn’t become level any more, and it tends to bend. With this model, we came across all of these different challenges that we don’t get normally! Then of course, it has to look like a car! There’s also the LEGO lettering and logos in there, it’s just awesome. You want to be able to grab the door handle and open the door! 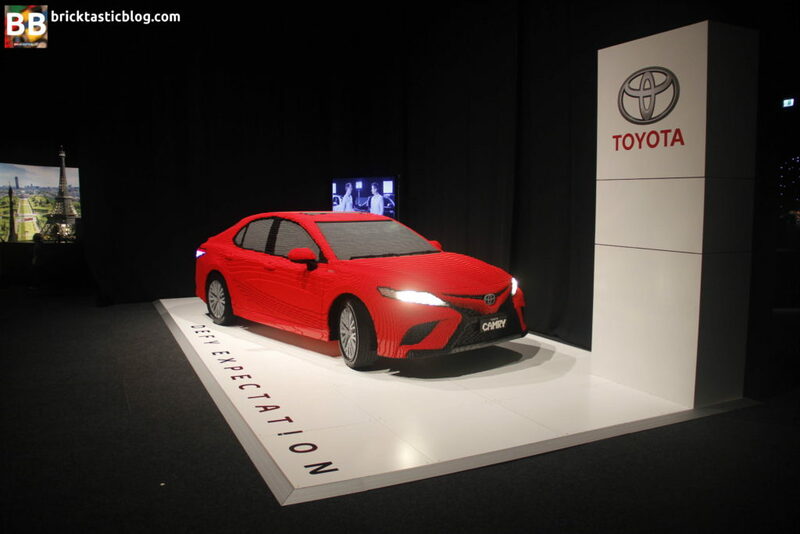 Yeah that’s right – it’s one of the things about working with big brands like Toyota, is we need to make sure the car looks like a real Camry. 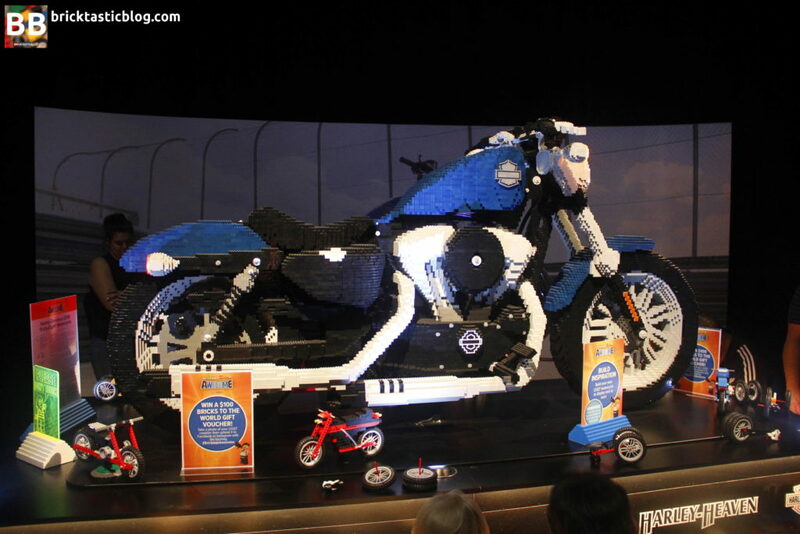 A few more questions for you – do you have a favourite model that appears in the Brickman Awesome show? That’s a tough one, because I kind of like them all for different reasons! 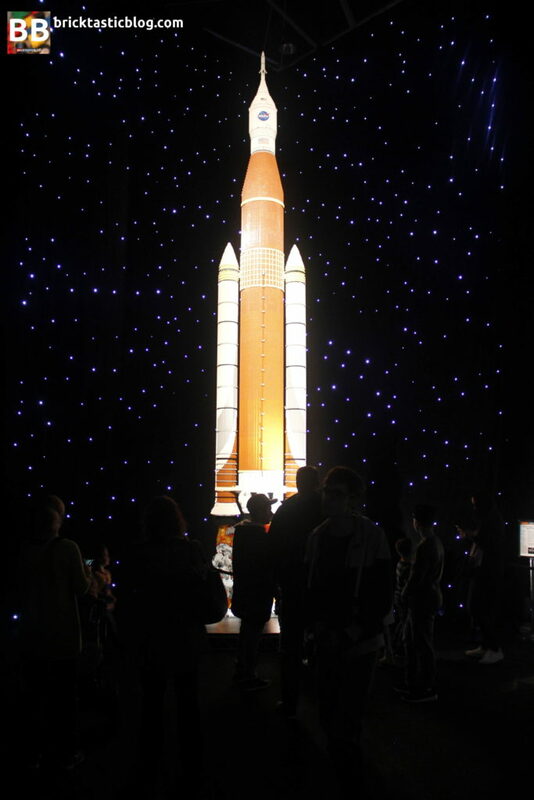 It’s hard to pick one, but certainly at the Awesome show, the NASA Rocket, and the challenges with that. That was sheer hard work. 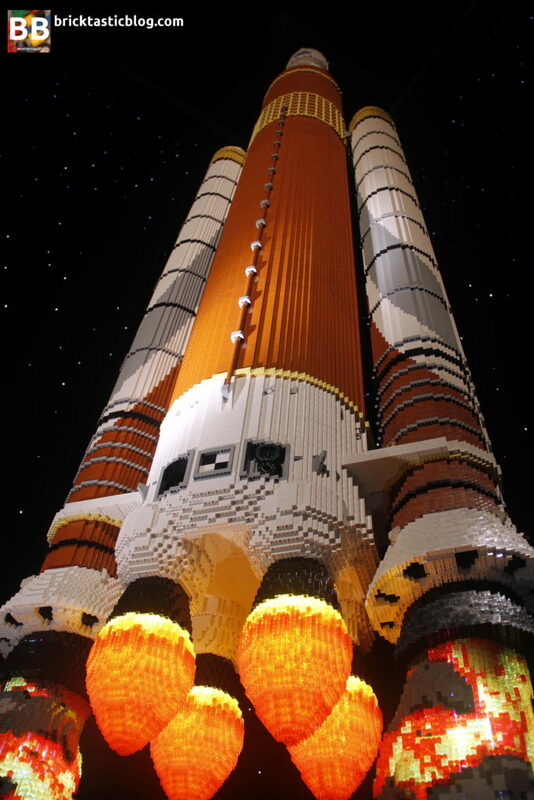 Particularly those flames at the bottom of the rocket – trans orange – the biggest brick it comes in is a 1×1. When those flames are 1.2 metres high, you’ve got to think about how to get around that challenge! Those trans bricks are also a different plastic to the other bricks – they’re a polycarbonate, so they’re a lot sharper. A 1×1 brick in translucent is 10 times sharper than a normal brick, so after that, my hands were cut to shreds and had callouses! Being a LEGO Certified Professional, I’m guessing people probably expect you to know everything there is to know. 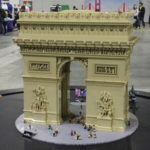 Are you still learning new techniques from regular LEGO sets? Ha! I’ve got to set the record straight. After looking at what people build at the brick pits at the exhibitions, I’m always proven to be not the best LEGO builder out there. What I can do is push it to it’s limits. There are far better LEGO builders out there than me! I’ll still build a few LEGO sets here and there, I’ll see a LEGO set and think that’s pretty epic. I think it was the last modular – the Downtown Diner, I was blown away with the crazy techniques. The good thing about new LEGO sets is new elements you can choose from, and seeing how they use the elements. I’m always learning new ways to put LEGO together! Ok, last question! What would you say to the aspiring LEGO builders out there? Build what you’re passionate about. If you’re totally into cars, build cars. If you have a passion for it, it’ll come through. Build what you love! 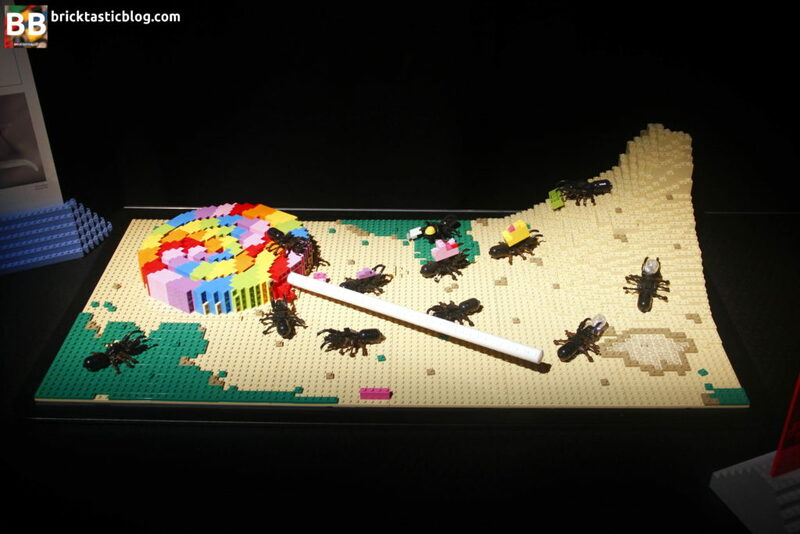 The things you find interesting will be shown in your LEGO. Thank you so much to Ryan for being willing to have a chat! It was great to get some more insights into the show, and what goes on behind the scenes! If you haven’t made it to the show yet, I’d highly recommend that you do. I think it’s his best show yet, and there is plenty to see and build yourself. There’s also a great shop at the end, full of hard to find sets at pretty good prices. Tickets are available at the door, or at Ticketek. Prices are quite affordable, and it’s a great day out. On to the Family Pass Giveaway! Congratulations to James Parmenter! You’ll be able to get either 2 adults and 2 children, or 1 adult and 3 children in for free! You can expect an email very soon about what has to happen next. Thank you to everyone who entered! I got a flurry of entries as soon as the post went up!